If you are going to be sharing your favorite song on the go, you need something that sounds better than your phone’s speakerphone. 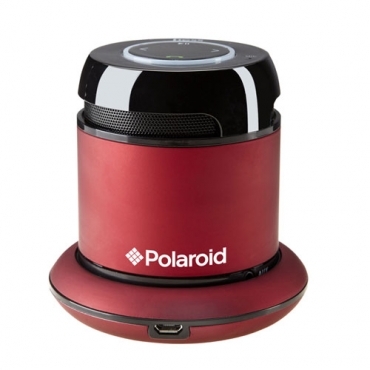 The Polaroid mini bluetooth speaker is portable enough to fit in a bag or keep at your desk. The micro USB charger allows you to use any USB port. Its is easy to pair, has a long wireless range and an exceptional battery life.